If rats have found their way into your home or office, don’t fret. The rat removal experts at Critter Control® have developed a 4-step process to rid you of your rat problems. Remove – Next, we utilize our wide range of removal techniques to rid your building of every last rat in the most humane, effective way possible. Repair – Once your infestation has been handled, our technicians are able to clean up and repair any damage or messes left over. We strive to have your home looking better-than-new when we’re through. Exclude – Finally, we seal up and repair any entrance points the rats may have used, to ensure that you don’t have to worry about a repeat incident in the future. 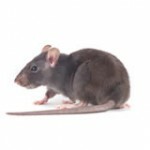 If rats have been plaguing your home or office, the time is now to call Critter Control®. For any questions about our rat infestation services, or to schedule your free home inspection, call us today at 407.326.9582.